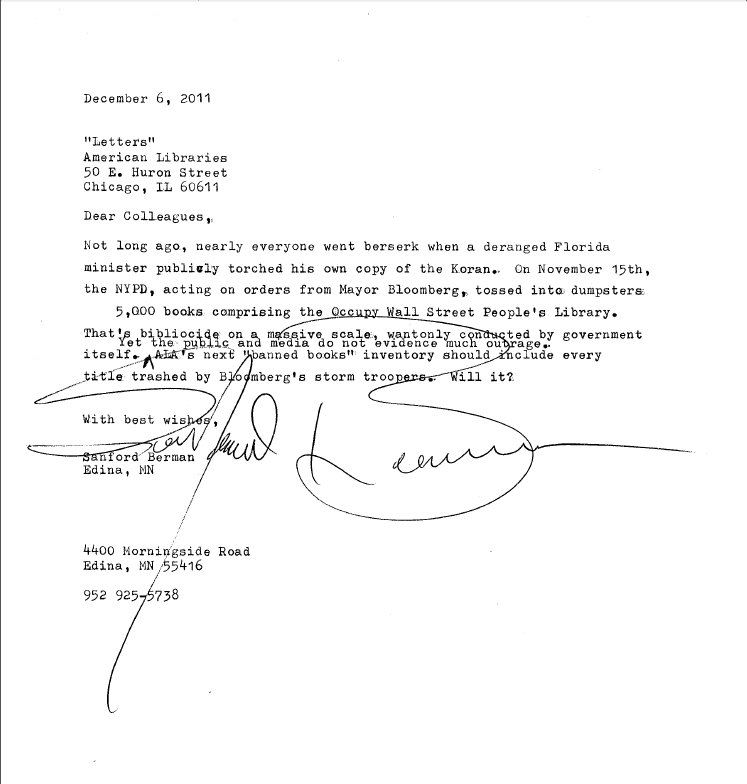 Sandy Berman sent this letter to American Libraries on December 6, 2011. I want to point my fellow New Yorkers to this article by Steve Wishnia in The Indypendent. The conceipt of the piece is that since Bloomberg is going to buy the Mayoral election anyway, then we shouldn't let him have it for the mere $80 million he's likely to spend on advertisement, but that we should demand the full $11.5 billion he has earned since becoming NYC mayor in 2001. (His "worth" then was $4.5 billion; now it's 16.) Wishnia portions out the 11.5 B on the MTA, housing, education, jobs, alternative energy, health, etc.